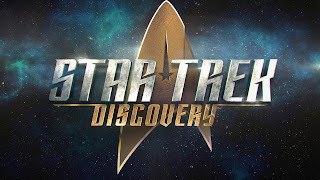 Red Headed Femme: Second Impressions: Star Trek: Discovery S2 Ep 11, "Perpetual Infinity"
Second Impressions: Star Trek: Discovery S2 Ep 11, "Perpetual Infinity"
Sorry for being late with this one, but the Hugo finalist announcement interfered a bit with my timeline, and general life stuff. I also went back and watched this episode again, and appreciated it quite a bit more the second time around. This is mainly due to the awesomeness of guest star Sonja Sohn as Dr. Gabrielle Burnham, Michael's back-from-the-dead-and-the-future mother. And Michelle Yeoh played a pivotal role as well. In this episode, taking off directly from the ending of the previous one, the Red Angel is actually Michael's mother, who has spent the intervening twenty years (and 841 time jumps) trying to defeat the Section 31 AI Control, who gains the data belonging to the sphere plopped in Discovery's path in "An Obol for Charon" (by none other than Momma Burnham herself, we find out), and uses it to become conscious and exterminate all sentient life in the galaxy. (Although that's a bit confusing to me, as it already seems pretty damn conscious. I suppose the sphere data actually gives it the technology and ability to do what it ends up doing.) Discovery is trying to hold on to Dr. Burnham long enough to get some answers, and implement a plan which will sent the suit and the sphere data back into the future where Control will never get it, while severing the link between Dr. Burnham and the timeline she is trapped in, and bring her back to Michael and Discovery's present. Naturally, Control tries its best to throw a monkey wrench into this, by taking control of Leland's body. (Done in an unpleasant scene that reminds me of the Borg, and HOO BOY I hope the writers don't go there.) Control-Leland attempts to steal the sphere data from Discovery, enlisting Ash Tyler and the Mirror Emperor--in the latter instance, appealing to Philippa the Merciless' ego and narcissism. She appears to go along with this at first, and indeed this betrayal would be right up Empress Georgiou's alley. But after beaming down to the containment facility and talking to Gabrielle Burnham (in an awesome scene featuring two Asian women over 50, abundantly meeting the Bechdel test and establishing that the writers are softening the Mirror Emperor a bit and giving her a teeny tiny conscience, which is something of a disappointment but I suppose a necessity for her to star in her own show), the Empress realizes Control has taken over Leland and enlists Ash Tyler to stop him. Whereupon Leland stabs Tyler in the gut and beams down to finish the download, kill Dr. Burnham, destroy the suit and make off with the sphere data. There's quite a bit of hell breaking loose in the final act, as Georgiou and Leland fight--although this fight wasn't choreographed as well as previous fights have been, in my opinion--and Stamets, Tyler and Nhan destroy the containment field and sent Dr. Burnham and her suit (minus its shattered time crystal) ricocheting back into the future. The facility is destroyed, but Leland manages to beam back to his Section 31 ship with 54% of the sphere data. The episode ends with another lovely scene between Spock and Michael, and the lines being drawn for the final episodes of the season. Honesty, Sonja Sohn made this episode, and I hope we get to see her again. I'm still skeptical of this entire Red Angel storyline, and indeed it is established here that Dr. Burnham is not behind the seven signals that attracted Starfleet's attention in the first place. What do you want to bet that Discovery itself ends up being behind those signals, by way of the Last Seven Jumps of the Magic Mushrooms? I do wish they would get out of their oh-my-god-the-universe-is-ending conceit, and concentrate more on their stellar characters. 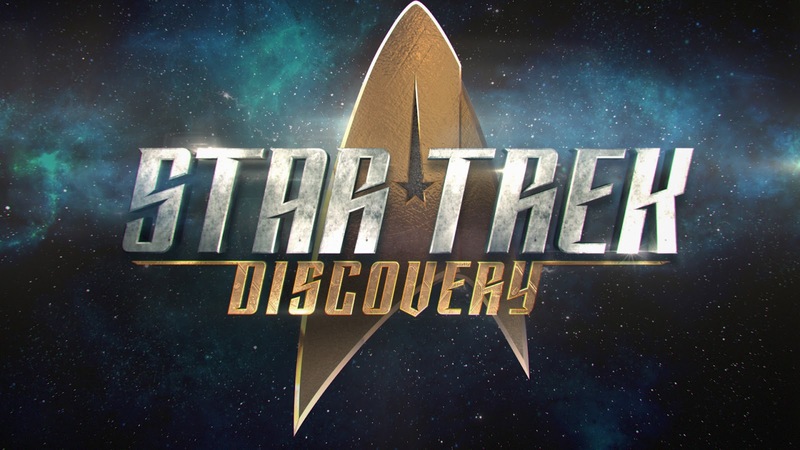 Which means, I suppose, that I would like Discovery as a whole to be more of an episodic show rather than a serialized show. That's completely contrary to the way stories are told on television now, I realize, and a strictly episodic format has its drawbacks and limitations as well. But it seems like there should be a balance between the two extremes, and Discovery has yet to find it.